Ibiza is synonymous with wild parties associated with celebrities and energetic youths who keep the dance going till the wee hours of the morning. 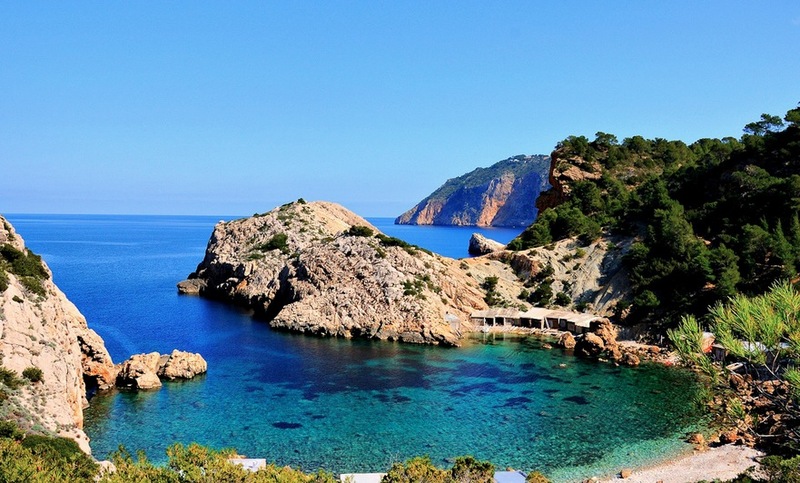 Aside from its colorful partying image, Ibiza’s natural beauty is astounding, it boasts striking scenery, vibrant family friendly resorts and the highest number of the best beaches in the Balearics. The coastline is lengthy and incredibly diverse ranging from dazzling long sandy beaches to secluded rocky bays. If you tred further inland, you will be amazed to find peaceful villages and white washed villages perched dramatically on hilly hideaways amongst the verdant lemon and olive groves. Though the coastline caters for every conceivable sport and leisure activity, those looking for a more tranquil holiday in the sun should seek the inland laid back ambience. Other pursuits in Ibiza aside from dancing till dawn include visiting the capital Ibiza Town which is dominated by its ancient town Dalt Vila whose encircling walls are the longest in Spain. Within the ancient walls you will find a cobbled maze packed with whitewashed houses, local bars and flea markets. There are also two archaeological museums home to Carthaginian art. Finding holiday rentals in Ibiza could lead you to different directions depending on the kind of holiday you want in Ibiza. If you want a luxury villa holiday in Ibiza, Portinatx resort is a hotspot for families set around a pretty cove with a backdrop of lush green pine forests. For a taste of culture and laid back lifestyle, a villa holiday in Ibiza in its delightful rural village of San Juan will be a perfect choice.